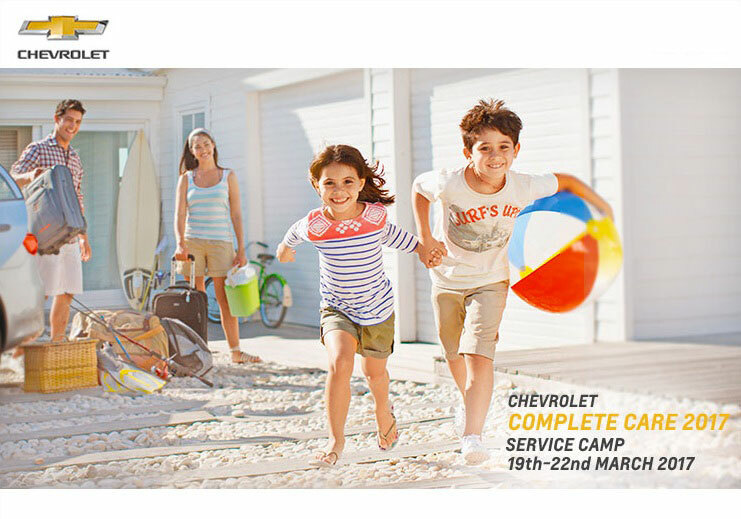 Augmenting its commitment to provide the best customer experience, Chevrolet India is organizing the first edition of its bi-annual Complete Care Service Camp across India. The service camps will be organized from March 19 – 22 , 2017 at 187 Chevrolet workshops across India in cities like Mumbai, Delhi Kolkata, Chennai etc. to mention a few. As a part of this initiative, Chevrolet dealers have lined up a range of exciting offers and benefits for the customers including – free car health check-ups, top-wash and upto 20% discount on labor charges. The customers will also be offered attractive discounts on Chevrolet parts and accessories along with allied services. One of the key values at Chevrolet is keeping customers at the center of everything we do and the Complete Care Service Camp is a comprehensive step towards that vision. Through this initiative, we want to ensure our customers and their families continue to enjoy safe & trouble free motoring. The objective of the camp is to support Chevrolet customers to ensure their vehicles are well maintained and trouble free to drive. The company continues to engage with its valued customers and is committed to provide an enhanced service experience at every step. As a special attraction along with various offers an attractive lucky draw is also being organized at select dealerships where all the drive-ins stand a chance to win the Chevrolet Beat along with other thrilling gifts.